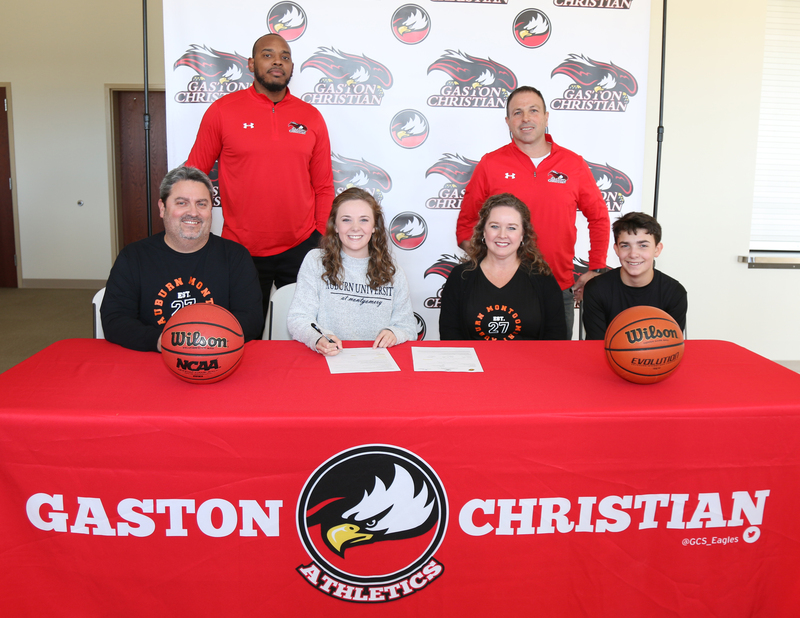 Gaston Christian School senior Hannah Bonisa commits to play Basketball at Auburn of Montgomery. Pictured: Coach Kevin Harrington, Athletic Director Tom Hawxwell, parents Mike and Kathleen Bonisa and brother Jacob Bonisa. 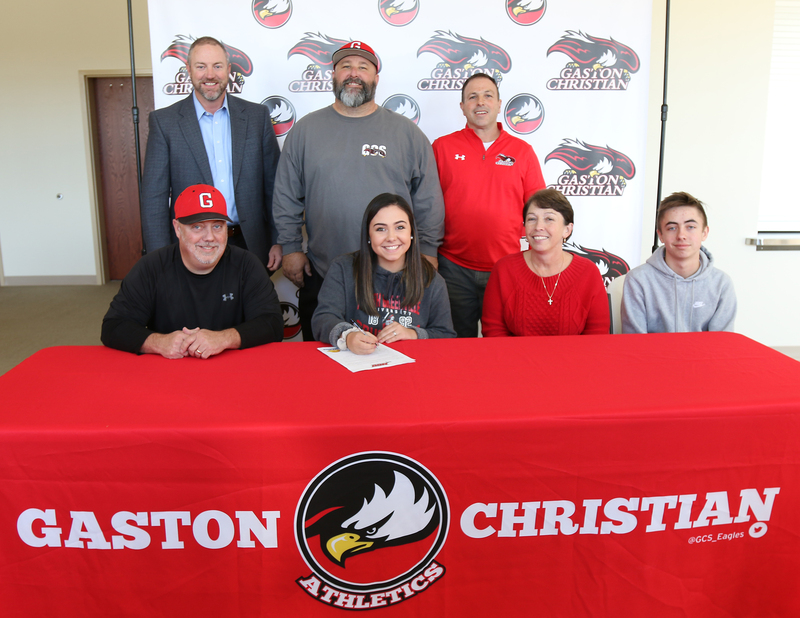 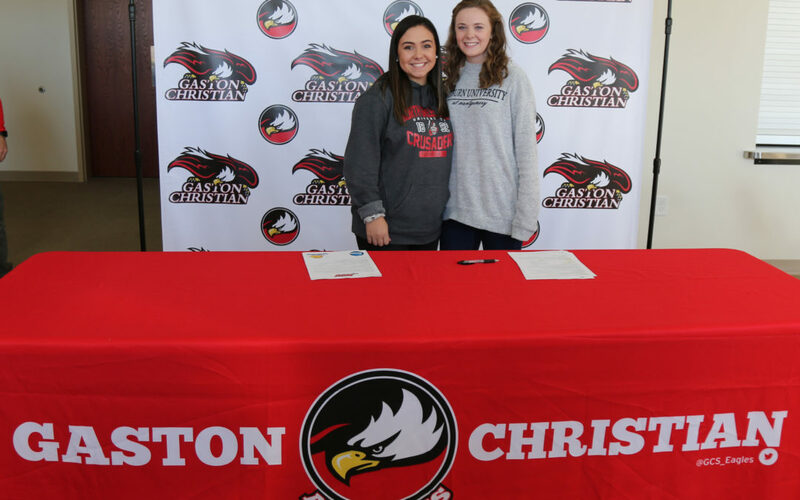 Gaston Christian School senior Anna Crenshaw commits to play softball at North Greenville University. 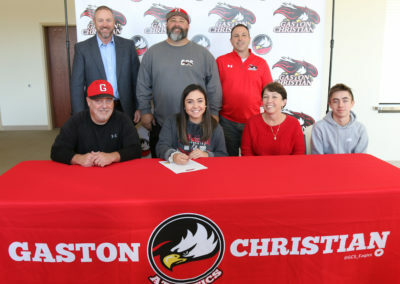 Pictured: Coach Danny Craig, and Chad Ghorley, Athletic Director Tom Hawxwell, parents Johnny and Lisa Crenshaw, and brother Ben Crenshaw.